aditus foundation and JRS Malta are happy to launch the 2017 AIDA report. The Asylum Information Database (AIDA) is a project of the European Council on Refugees & Exiles (ECRE), producing national reports on the situation of asylum in a number of EU Member States and covering key areas such as asylum procedures, reception conditions and detention. It aims to provide up-to-date information on asylum practice in 23 European countries, which is accessible to researchers, advocates, legal practitioners and the general public. The database also seeks to promote the implementation and transposition of EU asylum legislation reflecting the highest possible standards of protection in line with international refugee and human rights law and based on best practice. The 2017 AIDA report on Malta was jointly researched and prepared by aditus foundation and JRS Malta, and it was edited by ECRE. 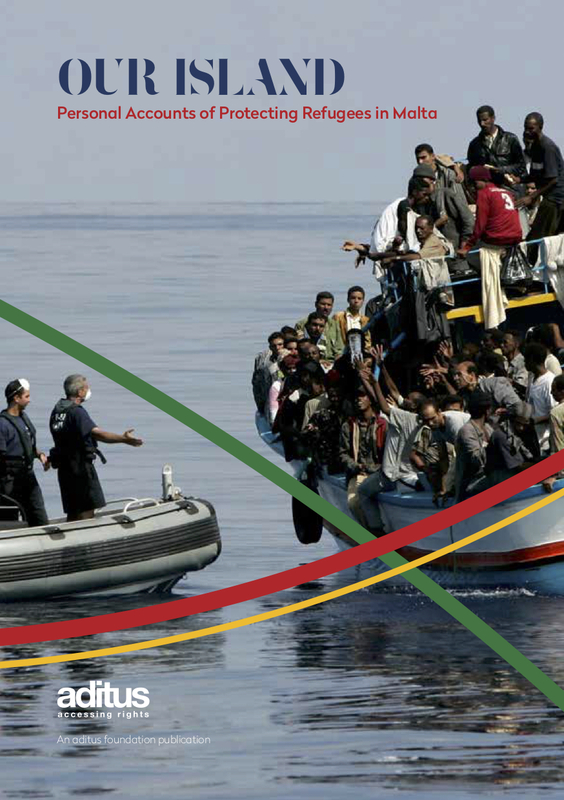 Together with the comprehensive overview of the asylum procedures and updated figures, the 2017 AIDA report highlights the changes in the way the Dublin procedure is now carried out in Malta, the use of accelerated procedures for applicants coming from safe countries of origin, the reception conditions at the Initial Reception Centre and the concerns remaining regarding the detention of applicants for international protection. Today the European Council on Refugees and Exiles (ECRE) published the country report covering all aspects of asylum in Malta. Published within the Asylum Information Database project (AIDA), the country report provides valuable information on legal and policy issues, as well as an insight into realities on the ground. AIDA is a database containing information on asylum procedures, reception conditions, detention and content of international protection across 20 countries. As with all country reports, the Malta report is the most comprehensive document on asylum in Malta, an extremely useful reference tool for law- and policy-makers, judiciary, NGOs, academics, etc. The Malta report was prepared by aditus foundation and JRS Malta. We hope you’ll find this report useful in your work, and thank all entities that provided information for our research. In the implementation of their international obligations, European and EU states have devised sophisticated asylum systems based on complex procedural tools. In some cases, tools are designed and used for the purpose of avoiding responsibility for refugees, because they allow claims to be dismissed as inadmissible before looking at the substance of the claim. The recent EU-Turkey deal and the European Commission’s proposal for harmonised asylum procedures under an Asylum Procedures Regulation, for instance, revolve around concepts such as “safe third country” and “first country of asylum”. A report launched today by the Asylum Information Database (AIDA), managed by the European Council on Refugees and Exiles (ECRE), documents the limited and fragmented application of admissibility and safe country concepts in 20 European countries. “The latest reform of the Common European Asylum System brings the concepts of admissibility, responsibility and safety to the forefront of European asylum procedures, by introducing an obligation on Member States to deem applications inadmissible on the basis of ‘first country of asylum’ and ‘safe third country’ grounds”, says Minos Mouzourakis, AIDA Coordinator. The recent introduction of broad lists of “safe third countries” in countries such as Hungary, as well as the pressure placed on Greece to apply the concept following the EU-Turkey deal, run counter to practice in countries with longer-entrenched safe country concepts in asylum procedures. Countries with longer experience, and often judicial guidance, in the application of the “safe third country” concept have clarified that an asylum seeker cannot be considered to have a “sufficient connection” with a third country merely on the basis of transit or short stay. The Asylum Information Database (AIDA) is a database managed by ECRE, containing information on asylum procedures, reception conditions and detention across 20 countries. This includes 17 EU Member States (Austria, Belgium, Bulgaria, Cyprus, Germany, Spain, France, Greece, Croatia, Hungary, Ireland, Italy, Malta, Netherlands, Poland, Sweden, United Kingdom) and 3 non-EU countries (Switzerland, Serbia, Turkey). The overall goal of the database is to contribute to the improvement of asylum policies and practices in Europe and the situation of asylum seekers by providing all relevant actors with appropriate tools and information to support their advocacy and litigation efforts, both at the national and European level. In Malta, the AIDA partners and researchers are aditus foundation and JRS Malta.